There is no doubt about the fact that pregnancy is a journey of many mixed experiences, some good and some a little not-so-good. A lot of women consider those 9 months to be the most special months of their life, especially when they have completed them. 1. Smiles from total strangers-only when you are pregnant can you expect to get smiles from people you don’t even know. This is especially true when other ladies who have detected your secret smile at you and make you feel like you are not alone in this. 2. 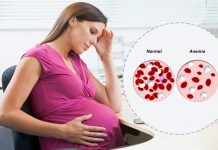 That rosy glow-another reason why you’ll miss being pregnant is because of the rosy glow that pregnancy brings to you. This happens due to increased blood circulation during pregnancy. 3. You get to eat more-pregnancy is probably one of those times when you can eat more since you are eating for two. You can not only eat what you crave but also indulge in those sweet and desserts that you used to avoid earlier. 4. 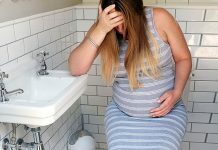 The anticipation-the anticipation of having a baby in a few months and the excitement that it brings cannot be replaced once these pregnancy months are gone past. 5. The feeling of feeling special-pregnancy is a time when you have the right to feel special and are made to feel special by everyone around. Your husband is going to be much sweeter to you, your family will care for you more and even strangers will leave you a spot on the bus or metro. This is something that you will surely miss once your pregnancy months are done with. 6. The shopping-the shopping that you do during pregnancy is something that you are surely going to miss after pregnancy. Not only do you buy new clothes for yourself but also for the baby. Other items that you will miss shopping for are new furniture, new linen, new gadgets and many others things. 7. You are not alone-pregnancy is the time when you are definitely not alone. You are always surrounded by loving faces, family members and friends who love you and take care of you. Moreover, the very company of your baby will not make you feel alone at all. 8. Having pregnancy as an excuse-no matter where you are, you can easily use pregnancy as an excuse. This is something that cannot be experienced once you are not pregnant anymore and is a thing to miss for sure. 9. Being a part of a miracle of life-being a part of the big plan of God is something very special. Being a part of this miracle can only be felt when you are pregnant. 10. The ultrasounds-isn’t it wonderful seeing your baby on the screen and experiencing his/her growing process? Well those ultrasound sessions and doctor visits are another part of pregnancy that you will miss.